This album takes me to specific event in my life. My first sexual experience. In 1991 I gave some 8th grader (I was in 10th) head. I had no idea what I was doing. 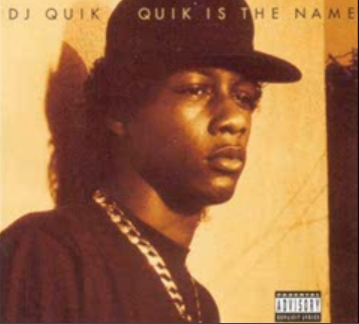 “Quik Is The Name” was playing in the back. The album just came out that month. I was actually attempting to lose my virginity, but I couldn’t get an erection. I was nervous. And I was intimidated because she’d been with a handful of people. I hope it didn’t show. Not to mention my friend and his girlfriend were in the same room doing something similar under the covers on a bed three feet away. I believe we tried again at a later time and it was a repeat. Minus another couple in the room. Which means I no had that excuse and I still couldn’t get it together. I was 16.